Consultants in Print Limited (CIP) and IT Governance – why? A number of our clients require Cyber Essentials certification to compete for public sector contracts and we have introduced them to IT Governance who have provided an extremely efficient, competitive and supportive certification process. With Cyber Essentials you can focus on your core business objectives, knowing that you’re protected from approximately 80% of cyber attacks. You will also be able to drive business efficiency, save money and improve productivity by streamlining processes. Achieving certification will also help you to work towards other compliance requirements such as the EU General Data Protection Regulation. To support our clients, IT Governance, the CREST-accredited and leading provider of cyber security expertise, has entered into a formal partnership with Consultant In Print Limited to aid the process of certification. 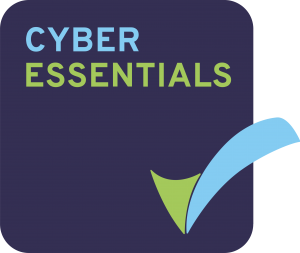 Cyber Essentials is a government-backed cyber security certification scheme which provides a good baseline of cyber security suitable for all organisations in all sectors. The scheme addresses five key controls that, when implemented correctly, can prevent around 80% of cyber attacks. 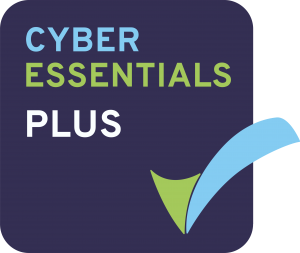 Cyber Essentials Plus certification includes all of the assessments for the Cyber Essentials certification but includes an additional internal scan and an on-site assessment of your infrastructure, specifically focussing on workstations and mobile devices. Fully implementing these five key controls will put interlocking cyber security measures into place to defend your organisation. All Cyber Essentials certifications are managed through IT Governance’s CyberComply online portal. This is a unique online service that enables companies to follow a convenient ‘do-it-yourself’ approach, as well as being able to manage and track the certification process.